"attimi sospesi di una metafisica quotidiana"
Suspended moments of an everyday metaphysics. 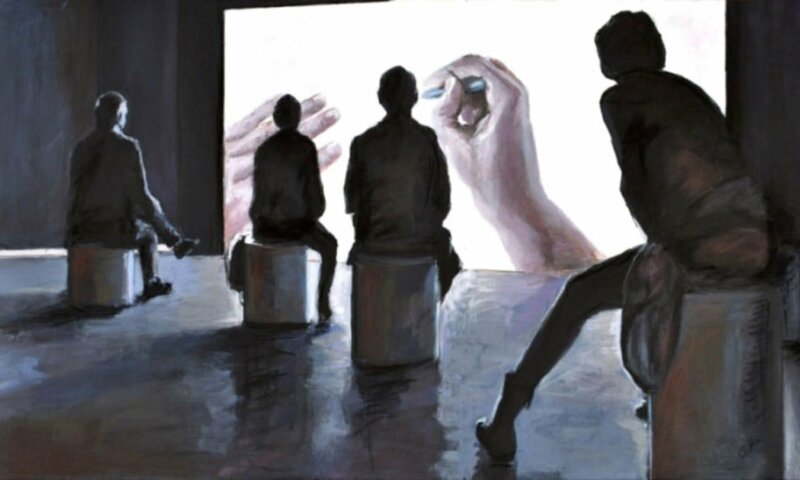 Oscar Piovosi’s poetic painting is mainly concerned with the representation of that invisible state of absent-mindedness in a dimension of everyday life that borders on another place elsewhere. Moments of a story, a story that is no more and has yet to be, suspended in non-spaces where the human mind and soul come to the fore. Sudden amazement, pensive apprehension, even being lost in thought, become the subjects, given form and substance by bodies and figures. A metaphysical account of the visible world and our everyday lives that eschews any narrative or literary pretensions, transforming painting into an evocative and helpful tool to depict that which is otherwise impossible to grasp.